The season may only be three weeks old, but it is fair to say that the feel good factor is starting to settle in again at Old Trafford. Last Friday, Manchester United welcomed Southampton in the first competitive home game of José Mourinho’s reign as the Reds’ manager. The following 90 minutes brought some of the best football witnessed at Old Trafford in the last three years. The hope is that the good times continue on Saturday as Mourinho prepares to take his side to face one of Ferguson’s greatest allies, Mike Phelan. Alas, Steve Bruce, we knew him well, but the question of whether the former Manchester United great faces relegation on Sunday is very much to the fore. Hull’s survival is dependent not only on beating Bruce’s former side at the KC Stadium, but in Newcastle United dropping points at home as well. Bruce has never enjoyed victory over United; it may take the swing of outrageous fortune to end that run. Hull’s slide has come on the back of six defeats in the past eight games, including each of the last three. It leaves the Tigers on the precipice of a drop into the Championship and the vast reduction in income that inevitably comes. Relegation will be tough on Bruce, although Hull has so rarely impressed this season that it would not feel unfair. This, despite Newcastle’s cataclysmic run of nine defeats and one draw in the past 10 matches. Still, Bruce’s side was unfortunate in defeat at Tottenham Hotspur last weekend after dominating for large periods only for two quick Spurs goals to end the game early in the second half. Victory over United will require a similar level of performance. Meanwhile, the Reds are highly unlikely to make third place in the Premier League, which may yet instill a sense of complacency in Louis van Gaal’s side. United must beat Hull by at least six goals and hope that Arsenal loses at home to West Bromwich Albion on Sunday. Neither result is probable, leaving Van Gaal’s squad with one foot on the beach and a mid-August Champions League qualifier to ponder. Bruce, meanwhile, seeks one final surge. It is, he says, a “one game season after 37 games” – one that could keep his side in the nation’s top division and, in all probability, Bruce in a job next week. “It’s a big positive that this game is at home,” said Bruce on Friday. “We’ve got one of the giants of English football coming to us and we hope that with the fans right behind us and the players ready for the challenge ahead, we can upset the apple-cart. Van Gaal is sympathetic, but remains professional. After all there are many United fans that no only hold Bruce in high regard, but might well enjoy Newcastle’s relegation. Such is the nature of schadenfreude and contempt for Mike Ashley’s peculiar brand of club ownership. Closer to home, Van Gaal’s players also hold one last chance to impress before a summer transfer window that is likely to bring further evolution of the Dutchman’s squad. It will be, said Van Gaal last week, a “tough summer” for some of his players. Radamel Falcao and Rafael da Silva are heading for the exit, with a clutch of others uncertain about their Old Trafford future. On the pitch United will make a late call on David de Gea, who was substituted last weekend with a hamstring problem in what was probably the Spaniard’s last match at Old Trafford. If De Gea is unfit Victor Valdes will again deputise for the Real Madrid-bound stopper. Elsewhere Wayne Rooney is available after injury and will play, with Angel Di Maria, Juan Mata and Marouane Fellaini competing for two spots in Van Gaal’s attack. Falcao and Robin van Persie may well start on the bench in what could be their last games in United’s red shirt. If the game means little for many, then momentum heading into the summer counts for something at least. After all, the Reds have won just once in the past five games – a steak that also includes three defeats on the spin. It is an end of season collapse that means Van Gaal’s side will probably face a tough Champions League qualifier early next season. Meanwhile, Bruce needs one final performance this season in a desperate last bid to stay in the division. In truth there have been too few this season; a failing mostly of his players’ quality, but also of a manager who has been unable to draw inspiration from his side at a crucial time. Bruce could name an unchanged side for Sunday’s game after last weekend’s positive performance. Jake Livermore is suspended because of a failed drug test, but Bruce enjoys a fit squad. “We worked so hard to get here, but when you get to the Premier League you find it is even harder to get the results you need,” said Bruce. “But we will try, that’s the business we are in. By that I don’t mean we will be going gung ho against United. They have better players than us, so that would be a mistake. What we need is a performance, not just a show of fight, and we need the composure to take our chances. The debate continues: which midfielder was Manchester United’s Man of the Match against Hull City on Saturday? In United’s most comprehensive victory under Louis van Gaal it was the quartet of Michael Carrick, Juan Mata, Marouanne Fellaini and, especially, Ander Herrera that impressed most at Old Trafford. Indeed, far from the common observation of recent years, strength in midfield depth is now a potential asset for Van Gaal as the campaign wears on. In yet another formation change, Van Gaal set United up in a midfield diamond, with Robin van Persie the deepest of an attacking trio that included Wayne Rooney and Angel di Maria. Or, as an alternate view, the Dutchman operated at the head of a midfield quartet, with Carrick, Mata and Fellaini ask to provide protection and craft ahead of a dynamic attack. Di Maria’s withdrawal shortly before Chris Smalling’s opener precipitated a reshuffle in United’s approach although not the overall strategy. Van Persie pushed forward alongside Rooney, while Mata dropped into the role with which he is most comfortable at 10 and substitute Herrera joined Fellaini and Carrick in midfield. It was enforced by accident perhaps, but the tactical overhaul worked to United’s distinct advantage, creating a balance between attack and defence that Van Gaal has been seeking all season. Often without bearing real fruit. At the base of midfield Carrick made more than 100 passes on Saturday, anchoring to outstanding effect, and linking defence with midfield in a manner rarely seen in the Geordie’s prolonged absence. The 33-year-old’s ability to effectively recycle possession comes to the fore most strongly in these kinds of matches, of course, where Carrick’s physicality is unchallenged and time on the ball is ample. Meanwhile, Fellaini offered the kind of a driving presence that David Moyes presumably sought when the giant Belgian signed last summer. Fellaini is far from the type of technically astute midfielder that dominates European football, but performances in recent weeks have certainly picked up from a very low base. Then there was Herrera’s mix of energy and sound technique. The former Athletic Bilbao player completed more than 90 per cent of 82 passes, while providing the assist for Van Persie to smash home United’s third goal of a productive afternoon. In an all-round performance, Herrera also completed two tackles, two interceptions and made a defensive clearance during one of Hull’s rare breaks forward. The 25-year-old has been out of Van Gaal’s side in recent weeks, suffering first from a broken rib and then Fellani’s improved form, but he offers a genuine balance in midfield that others do not. Perhaps the most aesthetically pleasing performance came from Mata, the Spaniard who has not always enjoyed life under Van Gaal. Operating at 10, Mata successfully completed almost 80 per cent of his passes in the final third – 90 per cent overall – offering a creative heartbeat more subtle than Rooney’s bombastic style in a similar role. Crucially, perhaps, Rooney’s improved form over the past five matches for club and country has coincided with a return to a more forward position that takes advantage of the Scouser’s enduring goalscoring instincts. In this Mata has a crucial role to play, releasing Rooney while offering a balance of touch and creative passing. It is the aggregate midfield display that will please Van Gaal most though. United’s dominance against Steve Bruce’s meager outfit was built on absolute superiority in the centre of the park. Where lesser sides have taken advantage of a lightweight offering over the past 18 months, Van Gaal’s quartet seemingly outnumbered the five, on paper at least, Bruce strung out across midfield. Yet, the performance leaves Van Gaal with decisions to make ahead of United’s fixtures with Stoke City on Tuesday and then Southampton and Liverpool in the coming weeks. Neither Mata nor Herrera have been guaranteed a starting role this season; both earned praise against Hull. Meanwhile, Van Persie’s superbly taken goal should keep the Dutchman in the side despite Radamel Falcao’s return to fitness. With Rooney an untouchable figure in Van Gaal’s team, it is the Spanish duo that are most at risk should Falcao start any of the upcoming three matches over the next fortnight. Against the need to find room for Van Persie, Rooney and Falcao in the side, United’s veteran coach will also be mindful of that elusive search for balance. It is one that will become yet more complicated when Di Maria returns from the minor hamstring injury suffered against the Tigers. Either way Van Gaal now enjoys a range of midfield options not available to Moyes last season nor, perhaps, to Sir Alex Ferguson in the Scotsman’s final campaign as United manager. While Darren Fletcher is unlikely to ever regain his former dynamism, and Anderson is simply running down the clock on a disastrous eight years at Old Trafford, the Reds are at least be competitive in midfield once again. Daley Blind’s return in the new year will add to Van Gaal’s options. Then there is the future. United remains some way behind England’s very best this season, although the recent improvement in midfield performances is one step towards bridging that gap, of course. In a European context, with the Reds desperate to return to next season’s Champions League, the Dutchman’s squad may still be one world class midfielder short. It is a gap that the club will probably seek to fill next summer. Until then United’s supporters will enjoy a long overdue improvement in midfield performances. There is something odd going on at Manchester United. Not the renewed sense of confidence following victory over Arsenal last week. Nor even United’s position in the Premier League’s top four. The most curious narrative this weekend is, surely, United’s improved injury situation. 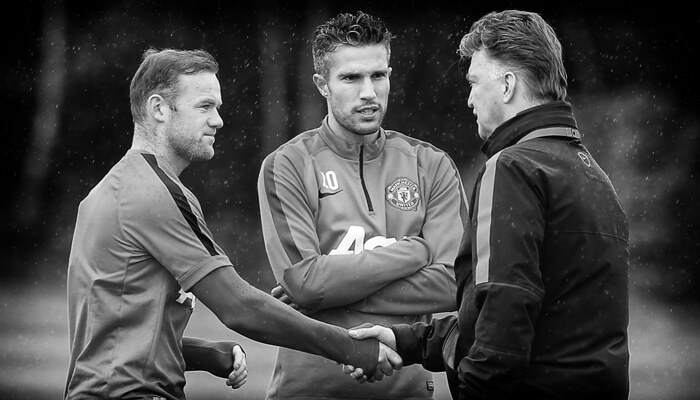 After months with little to offer aside from bad news, manager Louis van Gaal is close to enjoying a fully fit squad. The Dutchman is unlikely to welcome back all of his absentee players this weekend, but it is now just a matter of days before Johnny Evans and Radamel Falcao return to United’s first choice side. Meanwhile, Ander Herrera – out of the side in recent weeks following a rib injury – played for an hour as United’s reserves thrashed Blackburn Rovers 5-0 this week. It adds up to a positive story for Van Gaal; quite possibly the first time this season that the Dutchman has so little cause to complain about injuries. Meanwhile, having snatched an unlikely victory at the Emirates, United now enjoys two home fixtures against Hull and Stoke City this week that should serve to solidify the Reds’ place in the Champions League qualification places. Little wonder Van Gaal appeared upbeat during his weekly press conference at Carrington on Friday. “Evans has to develop match rhythm and that’s why he had to play in the second team,” said the Dutchman. “He played 60 minutes but then you don’t already have the match rhythm of the Premier League. He is fit to play but not for the Premier League. Indeed, United’s 62-year-old manager has a major to decision to take on countryman Robin van Persie’s role in the side, even in Falcao if not quite ready to return to the United starting line-up. The former Arsenal forward touched the ball just 13 times against the north Londoners last Saturday before being substituted in the 75th minute. The 31-year-old’s performances have stimulated significant debate, with youngster James Wilson seemingly close to usurping his more illustrious team-mate. With Van Persie’s performance against Arsenal symptomatic of so many lacklustre displays over the past 18 months few supporters will be surprised if the Dutchman finds himself on the bench this weekend. His performances deserve little else. “I had a striker, an international striker, Mario Gomez, who touched the ball nine times in matches at Bayern Munich in my time,” said Van Gaal, who offered little comfort to his countryman. The Dutchman has scored just three times for United this season after spending much of the previous campaign under David Moyes seemingly sulking about Sir Alex Ferguson’s retirement. Elsewhere Marcos Rojo is available after recovering from a dislocated shoulder, although left-back Luke Shaw is out until the new year with an ankle injury. Phil Jones, Rafael da Silva and Daley Blind remain on the sidelines with injury. Meanwhile, Steve Bruce’s Hull side arrives in Manchester in the middle of a slump that threatens to drag the Tigers into a relegation battle. Bruce’s side has suffered three straight defeats in the Premier League and enjoyed only one win in the past 10 league games. Nor have the visitors enjoyed any victory over United in recent times – the last win coming some 40 years ago when the clubs met in the old Second Division. On the pitch Bruce is without forward Abel Hernandez, who will be at the birth of his child in Uruguay, while Gaston Ramirez is suspended. Aside from the South American duo the visitors enjoy a fully fit squad. The challenge for United is to translate returning stars, together with victory over Arsenal last weekend, into genuine momentum. Victory over Hull will be United’s third on the spin, with Stoke visiting Old Trafford on Tuesday. It is an opportunity that Van Gaal’s side simply must grasp. United supporters demand little else of course. Still, there will be just a touch of bittersweet irony if United’s renewed confidence comes alongside Van Persie’s defenstration. Just a touch over 18 months since Van Persie led United to a 20th league title, the Dutchman appears toothless. United can ill afford something similar against this weekend’s opponents. It might just be the end of an era. Not just for a large group of Manchester United players set to leave the club over the summer, but for Ryan Giggs too. With a future role at Old Trafford far from certain, Tuesday night’s match against Hull City could be the last home appearance for a club legend – 962 games after Giggs made his playing début in 1991. Saturday’s result against Sunderland has put a new spin on the interim manager’s future. One week on from Giggs’ managerial bow, the wheels came off the Welshman’s bandwagon in spectacular fashion with defeat to the Mackems at Old Trafford. The brief movement to appoint the 40-year-old rookie as David Moyes successor has been replaced by a realisation that it is Louis van Gaal – not Giggs – who will drive significant change this summer. Indeed, the Dutchman’s appointment brings no guarantee that Giggs will be offered a coaching position next season – at least not of the seniority the Welshman is seeking. With the winter of Giggs’ playing career rapidly drawing in divorce from United seems increasingly likely; Tuesday potentially a fond farewell to the club’s most decorated servant. It is a scenario of which Giggs is acutely aware with just two games remaining this season. Little wonder the veteran is considering a farewell cameo appearance in front of his home fans. 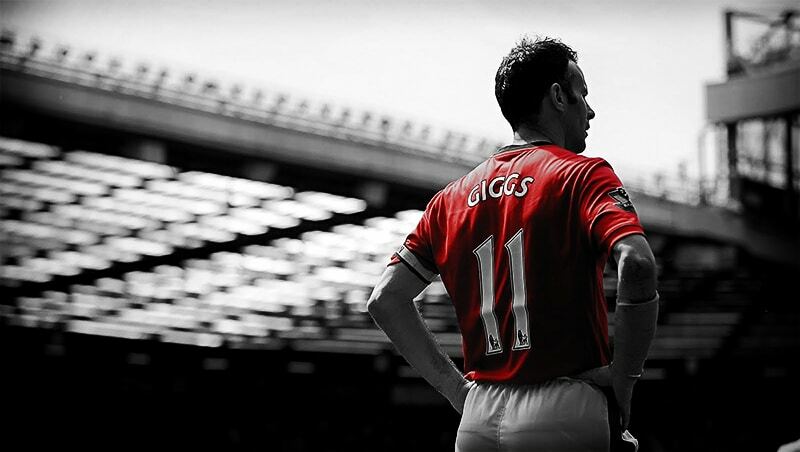 If it is to be Giggs’ last home match of a stunning career United supporters will surely demand nothing less. “I’ll have to take that into consideration but I also want to win the game as manager as well,” said Giggs. Giggs the manager has no fresh injury concerns, although Wayne Rooney is unlikely to be ready after the striker missed United’s weekend defeat. However, Rafael da Silva trained this week after recovering from a thigh injury, while Anders Lindegaard will make the bench if the Dane has recovered from flu. Giggs made six changes for Sunderland’s visit in an episode of squad tinkering of which former mentor Sir Alex Ferguson would be proud. However, after Saturday’s seventh home defeat of the season Giggs will surely freshen up his side once again ahead of Hull’s visit. Rio Ferdinand, Darren Fletcher and Michael Carrick all struggled against Sunderland, while Giggs must make a decision on wingers Nani and Ashley Young – both of whom were exceptionally poor against the Wearside team. 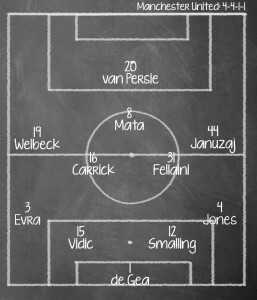 Robin van Persie, Marouanne Fellaini, Chris Smalling and Shinji Kagawa will each hope for a starting spot. Meanwhile, the visitors are without James Chester, who was substituted before half-time against Aston Villa last weekend. Steve Bruce is unlikely to risk Sone Aluko ahead of the FA Cup final, while Paul McShane, Robbie Brady and Allan McGregor all miss the match with injury. Early in his managerial career Bruce was considered in the running to succeed Ferguson. Eight jobs later, mostly with the Premier League’s lesser lights, and Bruce knows that he will never take over at Old Trafford. Still, there is a good argument that Bruce’s record exceeds that of Ferguson’s other acolytes: Bryan Robson, Alex McLeish, Roy Keane, Paul Ince, and even Mark Hughes. More than 30 former Ferguson players have joined the management ranks. Bruce’s career has taken him to Wigan Athletic, Sunderland, and Crystal Palace, among others, although the former United defender has rarely held any job security except for a six-year spell at Birmingham City. Such is the manager’s lot – a lesson Giggs will learn at Old Trafford or elsewhere. Bruce’s team lost 3-1 to Villa at the weekend, although his Hull side has enjoyed a decent campaign built on a sound defence. The Tigers are guaranteed a Europa League spot next season with FA Cup final opponents Arsenal having qualified for the Champions League – a final on 17 May that has effected Hull’s focus in recent weeks. Meanwhile, the odds remain that Giggs – much like Bruce and other heralded former United players – will never become full-time manager at Old Trafford. After all, the Welshman’s storied playing career is no guarantee of success in the dugout. Still, the rookie revealed that he has spoken both to Bruce and Cardiff City manager Ole Gunnar Solskjaer ahead of the four match stint as interim manager. “I have spoke to Brucie and Ole [Gunnar Solskjaer], two ex-team-mates. One has been in management for 15 or so years and the other has not been in management so long. It was great as both gave me different bits of advice,” said Giggs. Should Hull pull off an away win at Old Trafford, on what might be Giggs final appearance at Old Trafford, the Welshman might do well to ignore the critics too. Who’d have thunk it, Steve Bruce, the old bruiser, perhaps the last Manchester United central defender genuinely out of the old school: football hipster. 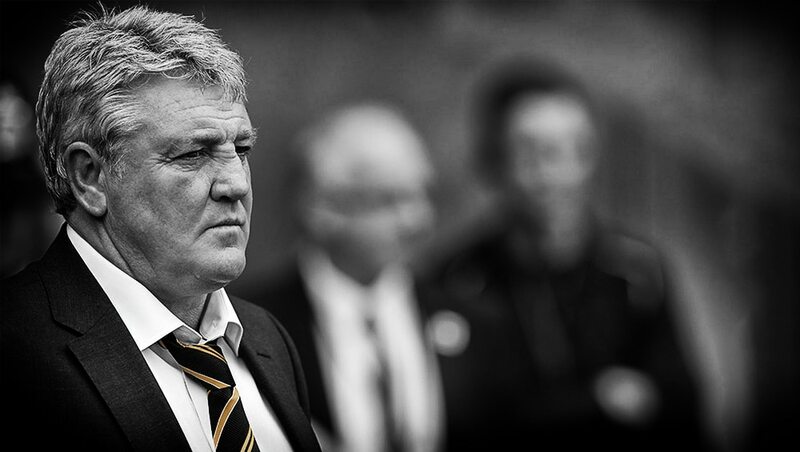 Bruce was never technically the strongest as a player and has rarely been considered a coaching innovator, yet has consistently impressed in his flexibility as manager of Hull City. Bruce’s bravery in deploying a back-three in the Premier League this season matches the curiosity of the side doing so in the Championship last. Bruce’s approach will pose a different challenge to United – one of breaking down a defensively sound, if inferior opponent, and doing it on the road. After all, Hull boasts one of the finest defensive records in Europe having conceded just three times at home this season. In that just one home defeat has come – a surprise defeat to Crystal Palace in November. Indeed, Hull has garnered 20 points this season, more than half way on to the 40 that typically guarantees Premier League survival. After all, since the Premier League shifted to 20 teams, just three have gone down with more than 40 points: Sunderland on 40 in 1997, Bolton Wanderers on 40 in 2003, and West Ham United with 42 in 2003. With a home match to come against Fulham before New Year’s day Bruce has good reason feel confident of his team’s chances of remaining in the top division. Little wonder the former Birmingham City, Wigan Athletic and Sunderland manager is achieving plaudits this season. It is an opportunity in the top division that might not have come Bruce’s way had Hull not been promoted last season. After all, the 52-year-old was sacked as manager of Sunderland in November 2011 with the Mackems bottom of the Premier League. It was a humiliating end to his time on Wearside, which preposterously Bruce claimed was due to his Newcastle roots. “Steve Bruce has done a good job with Hull – he has really brought them back,” Moyes said Monday. “They looked as though they were dipping and going in the wrong direction. I think he has done a great job in getting momentum going again. They have got some good players and they will be a hard team to beat, as they have had a decent first half to the season. United travel east still nursing a rash of injuries, although striker Robin van Persie is not far away from full fitness and will feature early in the New Year. 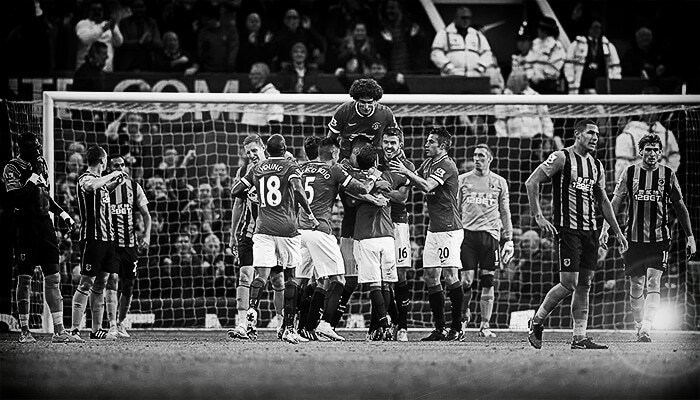 However, Marouanne Fellaini will miss another two months having undergone wrist surgery this week. Nani and Nemanja Vidić also remain on the sidelines. Injuries leave Moyes short in central midfield, although with three games to come in six days from Boxing Day to New Years the Scot has little choice but to rotate. Tom Cleverley and Phil Jones may again get the nod in central midfield at Hull, although Ryan Giggs, Darren Fletcher and Anderson are also available. Michael Carrick is close to a return and there is an outside chance he may feature at Hull. Elsewhere, Ashley Young is pushing for a start having scored twice in as many games, while Shinji Kagawa has sat out much of the past month with illness and is due some game time in a busy period. “Robin is progressing, he’s coming on, and he is feeling quite good,” said Moyes. “He had a similar injury at Arsenal on his thigh, so it is something we have to be sure about [before he returns]. It wouldn’t be much good if it got repeated, so we will try to take it steady. Obviously the medical team are controlling, but we speak to Robin as well about how he feels. We’re doing everything we can to make sure he’s well looked after and well treated. Meanwhile, Bruce could field an unchanged side for the fourth game in succession, although former Red Robbie Brady is unlikely to be fit, while Sone Aluko and Stephen Quinn are both out. Former Reds James Chester, and Paul McShane will feature in the matchday squad. It has been a campaign in which expectations on the pitch are being met from a newly promoted side, although there remains some angst on the terraces with owner Assem Allam having applied to rename the club ‘Hull Tigers’. The FA will rule by next summer – in the meantime Hull supporters’ vociferous campaign to retain 100 years of tradition is gaining momentum. 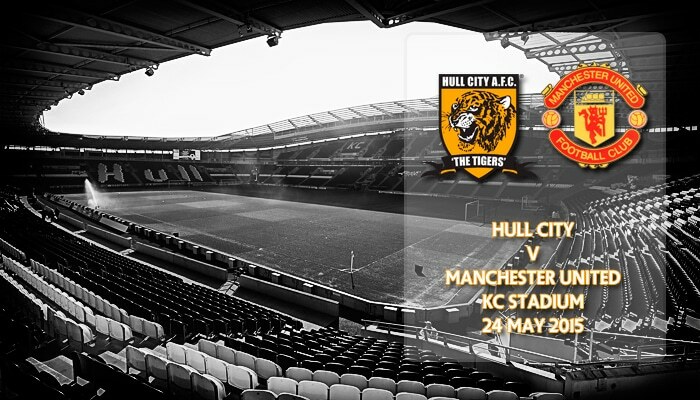 Still, with United in town supporter unrest will be put aside for a moment, with Hull seeking a first victory against the Reds in 38 years. “Over the Christmas period, we host the champions and they’ve run into some form which you would expect them to do,” said Bruce. “Traditionally it’s the biggest gate you have and it’s just a great occasion for all of us. When Man United come to town, it’s the biggest and best occasion. For all of us at Hull, what better thing to have than have them on Boxing Day. History points to an away victory, with United having beaten the Tigers on the last seven meetings. Hull won a Division Two encounter at Boothferry Park in 1975. Today, the the home side has made a new fortress at the KC, with Bruce surely confident that while United remains favourites to secure another crucial three points it’s unlikely to be anything as one side as the last meeting between these two sides – a 4-0 United victory in 2010. Wayne Rooney scored four to fire Manchester United to the Premier League summit, as Old Trafford rocked to the sound of a green and gold chorus. Hull City frustrated the home side until a tidal wave of late goals gave the scoreline a semblance of reality as Sir Alex Ferguson’s pre-match call for unity was widely ignored. Following two weeks of financial turmoil, culminating in a £504 million bond issue by the Glazer family, Ferguson used his programme notes to call for a United front: off and on the pitch. But the Scot’s demand fell on deaf ears as the United faithful gave a rousing match-long rendition of “we love United, we hate Glazer,” while donning the colours of Newton Heath in symbolic protest. “The family of Manchester United is under pressure as a result of all the issues surrounding the ownership and financial situation of our club,” Ferguson noted in United Review. “Some of our fans are clearly unhappy with our financial position, but we mustn’t allow the situation to become divisive. Any sense of charity towards the fans matched that in the Scot’s team-sheet, which included Rio Ferdinand for the first time since 25 October, but lacked the rested Ryan Giggs, Antonio Valencia, Michael Carrick and Dimitar Berbatov. 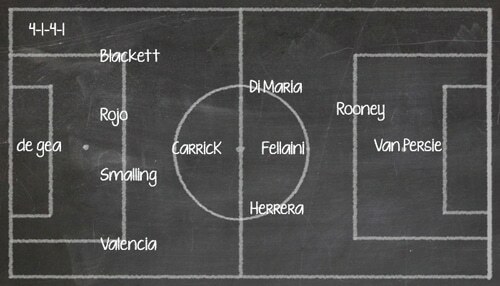 Ferguson confident that almost any United eleven is good enough to beat Phil Brown’s strugglers. Inevitably Rooney, the talismanic striker so brilliant against Manchester City in midweek, opened the scoring on eight minutes, beating Boaz Myhill after the Hull ‘keeper parried Paul Scholes’ 25-yard shot. The Scouser then took his goal tally to 20 for the season with a rapid-fire hat-trick in the final 10 minutes of the match. In between, United’s profligacy, far more than Hull’s endeavor as Ferguson generously noted post-match, kept the visitors in the match. Ji-Sung Park and Michael Owen in particular were guilty of wasting chances that would have finished the game well before the half time break. With the bright Nani creating opportunities, and Berbatov adding some potency on 70 minutes, United finally brought the sword down on limited opponents in the twilight of the contest. First, Rooney latched onto substitute Darron Gibson’s pass, before firing past Myhill from 12 yards for his second. Moments earlier Nani had smashed an effort against Hull’s bar. Then the Portuguese winger, who has fallen out of favour with Ferguson following a series of inconsistent performances, provided the cross for Rooney’s hat-trick, which the former-Evertonian powerfully headed home. Wrapping up the match and his personal hoard, the England international scored in stoppage time to take his goal tally for the season to 20. “Without doubt those four goals were the highlight for me,” Ferguson said of Rooney, who is now just three goals short of his best ever haul for the season. “He has been wanting to develop himself as a scorer and there were some terrific finishes today. Rooney, though, is exactly the type of player that Ferguson will no longer bring to the club in the new financial reality. Seditious as the Old Trafford atmosphere has become, this is a truth that has rapidly dawned on many United supporters in the past week. The Scousers’ performance – and that of Nani who had his best game in a United shirt this season – dragged United to the Premier League summit. In the short-term at least, United fans left Old Trafford happy. The question now: can a full-scale rebellion be quelled by a table-topping team or has a point of inflection already been scaled? Manchester United draw to within two points of leaders Chelsea in the Premier League title race following a hard fought victory over Hull City at the KC. Wayne Rooney had a hand in each of United’s three goals but not before the Scouser had gifted the home side an equaliser in another tough away fixture for Sir Alex Ferguson’s men this season. In truth Ferguson leaves Hull with a sense of relief after the home side made a competitive match of the fixture despite gaining just two points in the club’s previous five outings. No longer is United sweeping the lesser lights of the Premier League away but with the return of a back four actually composed of defenders, Ferguson’s men were able to win without excelling. Rio Ferdinand is missing for the foreseeable future but Sir Alex named Wes Brown, Nemanja Vidic and Rafael da Silva in the starting eleven for the match. It meant a return to the heart of United’s midfield for Michael Carrick and Darren Fletcher, whose absence has exposed the side’s soft underbelly in recent weeks. Another restored to the side, Ryan Giggs, created United’s first chances by first firing just over the bar with a left-foot volley and then curling a free kick just wide in the opening minutes. Rooney then stung Boaz Myhill’s gloves in the Hull goal with a fierce left-foot shot before intricate United football released Rafael through the middle only for the ‘keeper to block the Brazilian’s effort one-on-one. While Giggs’ looked tired on his return to the United side – and Dimitar Berbatov had little impact until a late goal – at least Ferguson was able to count on Wayne Rooney to score the visitor’s opening goal. United’s leading marksman struck home Fletcher’s superb curling cross from the right for his 14th of the season, with Giggs providing little more than nuisance value at the near post. United of old might have laid waste to Hull’s fragile defence but Phil Brown can take heart from a spirited comeback by the relegation-threatened home side. Alan Wiley, officiating in his first United match since Ferguson questioned the Staffordshire-born referee’s fitness to do the job in October, handed the Tigers an equaliser following Rooney’s error. The Scouser, fresh from giving United the lead, promptly lost company with the ball yards from his own goal. In the melee that followed Rafael barged over Jose Alitidore in the box, enabling Craig Fagan to score from the spot. But United was always a major threat on the counter despite Hull’s best efforts to score a second. Ji-Sung Park, Giggs and then Rooney contributed to restoring United’s lead as the visitors’ lightening-quick break resulted in Andy Dawson turning the Scouser’s cross into his own net. Moments later and Rooney threaded a final pass through Anthony Gardner’s legs to tee up his Bulgarian strike-partner for a simple tap in. Berbatov acknowledged Rooney’s brilliance in turning around not only his side’s fortunes but a potential ‘hairdryer’ moment in the dressing room had United not pulled off the victory. “It’s a relief,” Rooney told Sky Sports. The victory moves United to within a win of Chelsea in a season where none of the leading sides have found any consistency. United’s five defeats in the Premier League before Christmas is the club’s worst run of losses in nearly a decade but Ferguson’s side could conceivably top the table by New Year’s Day. With the club’s injury list finally easing now is the time for the Scot’s side to mount a series of victories if a fourth Premier League title in a row is to head Old Trafford’s way. Rooney is central to that ambition. “He (Rooney) was a threat all game; his penetration behind their back line was very good,” the United manager said. “Yes, he made a mistake with a wayward ball for their goal but that was his one bad moment and otherwise I thought he was exceptional. He’s a natural winner and he’s always got that determination to do well. He would have been sicker than anyone that he made a mistake but he rectified it in a nice way. “It’s looking more and more like it’s going to be a really tight league. Manchester United’s players return from a longer-than-usual Christmas break with little respite in the injury crisis that has engulfed Sir Alex Ferguson’s team in recent weeks. The Scot need no longer worry about a festive season drinking culture but will once again deploy a makeshift defence as United travel to Hull City hoping to improve on two defeats in the past three games. Ferguson hopes to have either Wes Brown or Nemanja Vidic available for the trip to Hull, although both will definitely feature against Wigan in three days time. Good news also comes in the shape of Brazilian brothers Rafael and Fabio da Silva who, true to form, have each been injured in recent weeks. However, Ferguson says there is little hope of Rio Ferdinand returning to the team in the near future. Ferdinand, who has appeared just five times this season, last week said there’s is “light at the end of the tunnel” is the search for a cure to a back injury that has plagued the defender for more than a year. “We gave Rio an injection just over two weeks ago so we have to let that settle for a week then he can go back into the gym work and do some more core work,” Ferguson said. Ferguson says that the best form of attack at Hull is defence. It’s a strategy that United totally failed to enact in the 3-0 away defeat to Fulham last weekend or the 1-0 reverse at home to Aston Villa a fortnight ago. Indeed, Ferguson may revert to a more attacking formation against relegation-threatened Hull, with Dimitar Berbatov in contention to start along side Wayne Rooney despite a knee injury that requires an operation. “Hull will be encouraged by the fact we have got defenders injured. They will certainly have a go at us,” he said. “It’s always a dogfight down at the bottom of the table and, as usual, there are six, seven or eight teams involved in that battle. “We looked fragile once we lost the goal (at Fulham). We got away with playing midfielders at centre-back once or twice, but it proved difficult. “We have to make sure we are better attacking-wise than we were against Fulham. We didn’t make a lot of chances in the match, we had a lot of possession but it didn’t amount to anything. “In terms of creating chances, we have to get that creativity, imagination back. Ferguson says that the injury situation will return to some form of normality by the time United play cup games against Manchester City and Leeds United in the New Year. In the meantime the Scot’s side requires six points in the coming week to keep in touch with Chelsea, who continue to drop points in a season where none of the contenders achieved consistency. United’s cause will benefit from the return of Darren Fletcher to the heart of Ferguson’s midfield, should either of the da Silva brothers be deemed fit enough to start against Hull. The Scot’s absent destructive abilities have exposed a soft underbelly to Ferguson’s defence in recent weeks. Ferguson will also choose from Ryan Giggs, Park Ji-Sung, Antonio Valencia, Paul Scholes and Anderson in midfield, with Michael Carrick likely to reprise a role in central defence. “I think losing to Aston Villa was a bitter disappointment, we made enough chances to win it. Winning your home games can stabilise you from bad results away from home,” Ferguson said Boxing Day. “It’s unusual for us to lose two games in December, it’s not happened that many times but hopefully by the Leeds United (in the FA Cup third round) game we will have three centre-backs and we can then kick on and get back to our normal selves. “The way the league is at the moment, I think Arsene Wenger said the other day you could lose seven games and still win the league this year. Wenger may be proven right in May but with Ferguson’s side slipping to a fifth defeat before Christmas last weekend the side cannot add a sixth at the KC Stadium Sunday.